I was only about 10 hours into The Division 2, a game that I expect I will play for dozens of hours when I realized something about the perks in the game. I was going to be able to unlock them all easily once I hit level 30 and the final perks became available to grab. Suddenly, I didn’t care about what I picked. These perks became a checklist that I barely thought about. By giving me the option to get everything, I stopped caring about any of the options at all. Games, stop doing this. It is wild how quickly I went from planning which perks I would grab to literally just unlocking them in order from first to last in the menu. I knew that I would probably be able to unlock most of them if not all of them eventually, but having that moment happen so early and be so apparent completely killed any interest I had in that part of The Division 2. This isn’t the first game where I’ve encountered this same issue. It’s just hard to care about picking specific perks or abilities when it becomes clear you will get them all. Sure, early on I still focused on certain things, although eventually, I stopped caring because I was just going to get them all anyway. The more recent Far Cry games also have this issue. I usually get more health or combat moves first, however towards the end of the game, I’m just randomly picking stuff without much thought. By letting players unlock everything, the game robs the player of any meaningful choices in how to build up your character. But it also makes it harder for me to remember what I even have unlocked. 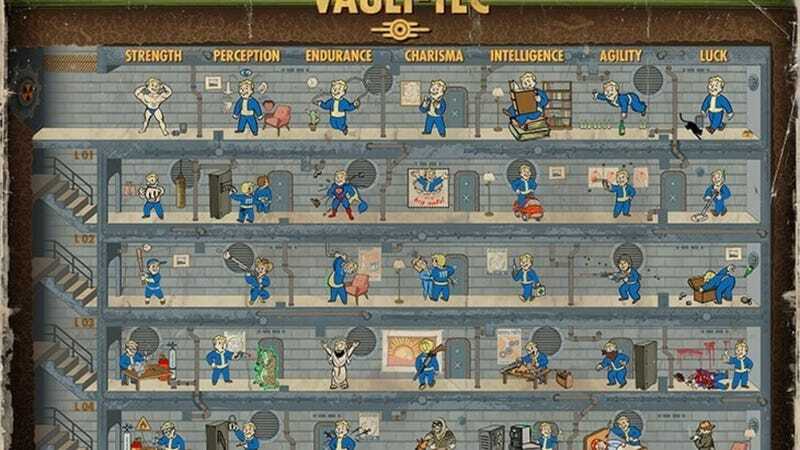 I feel like some of the perks I have in Fallout 4 I completely ignored because I didn’t think about them when I unlocked them. Same with other games that let me get every skill. Compare this to the feeling of leveling up your character in something like Fallout New Vegas. In that game, I would plan out builds. I would do mental math in my head to figure out how many SPECIAL points I should assign in combination with a later perk to max out a stat I cared about. I would have to make hard choices to really get a skill or strong perk. I also remember getting really excited when I leveled up. It was a few more points I could spread across my build. Each new perk or skill I gained felt memorable too and to this day I still remember certain characters I created and how much fun or how terrible they were. In contrast, I’ve never felt compelled to create a new character in Fallout 4 because eventually, they will end up with all the perks as my original character. I understand that part of the reason games like The Division 2 have unlockable skills and perks is to give players a sense of progression. Yet, if everyone and every character ends up in the same place I feel like that does a disservice to that feeling of progression. In The Division 2 I also became less motivated to explore and grab some of the in-game items because I didn’t need them. I don’t require any more SHD Tech, the tokens used to unlock perks because I’m already drowning in them and have nothing to unlock. Maybe future updates will add more perks or ways to use SHD Tech yet, for now, I’m stockpiling something that feels worthless. Good choices in video games aren’t about offering you something, but about making you choose to sacrifice something. Yeah, you can take this perk to gain more ammo capacity, though you will miss out on this perk that gives you more accuracy. MOBAs actually do a great job each match of pushing the player into picking things and making important choices. I wish more games would see the value in limiting players and making them think about their choices.